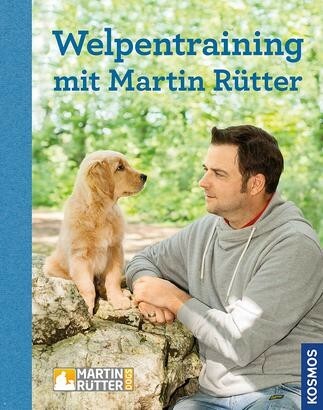 Product information "Welpentraining mit Martin Rütter"
Small, clumsy, with big eyes and thick paws, puppies tumble into their new families and quickly turn daily life upside down. Table legs are chewed on, visitors jumped on, and if the little guy feels lonely, he howls pitifully. Now you need good advice! Dog professional Martin Rütter shows what puppies should learn during the first few weeks – from housebreaking to staying alone, discovery trips in nature and in the city, up to basic signals, such as Come, Stay, Sit, Down. With positive learning, clear rules and much patience, a small dog is turned into a pleasant companion.